When it comes to smoking, we all know the toll it can take on our health, but what about our wallets? 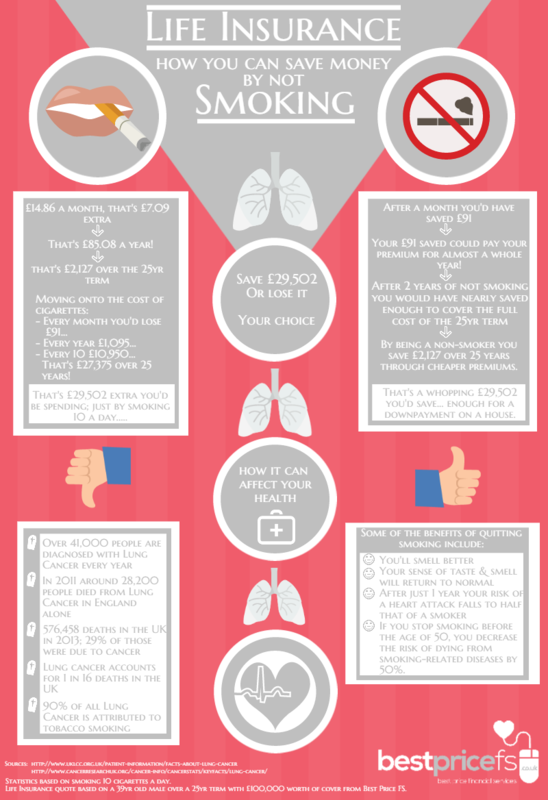 To support No Smoking Day in the UK this 11th March, we’ve created a run-down of all the key facts on smoking and how it can affect your life insurance policy, and the results are pretty interesting. Smoking can really push up your premiums – just 10 cigarettes a day would leave you a staggering £29,502 worse-off over the term of your policy. For some more super stats and cig-busting incentives, read our infographic below. The results are in and it’s clear – stop smoking to start seeing savings. To find out how much being smoke-free can affect your life insurance policy, get a Life Insurance quote now.